Danny Park. The Seat of W.J. Campion. An antique line engraving by Chas. J. Smith after T. Henwood. 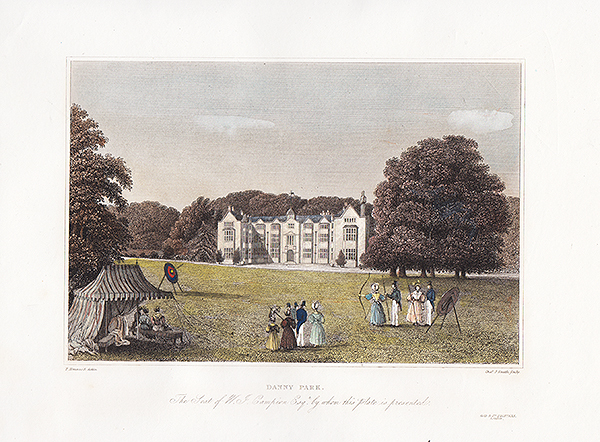 Published in 1835 with later hand colouring. 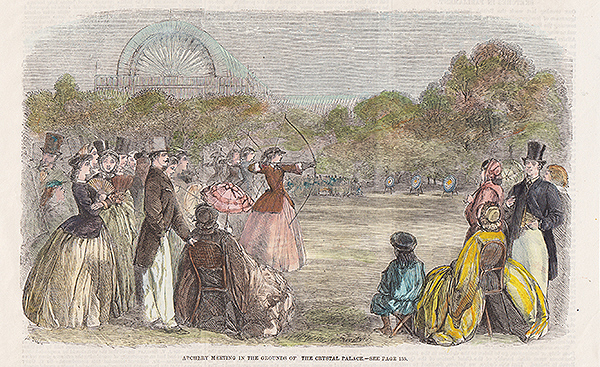 Archery Meeting in the grounds of the Crystal Palace. 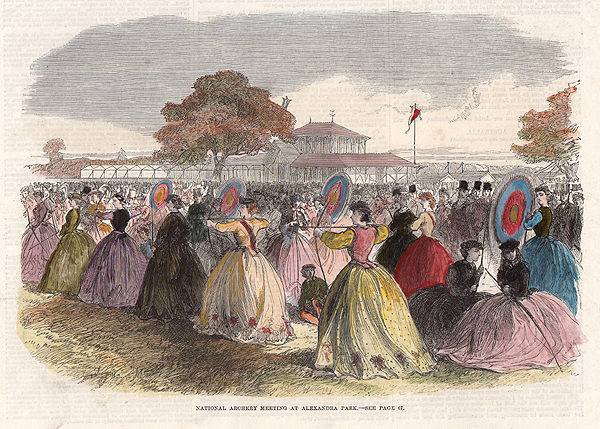 An antique woodcut engraving which was published in "The Illustrated London News" on August 6th, 1859 with later hand colouring. 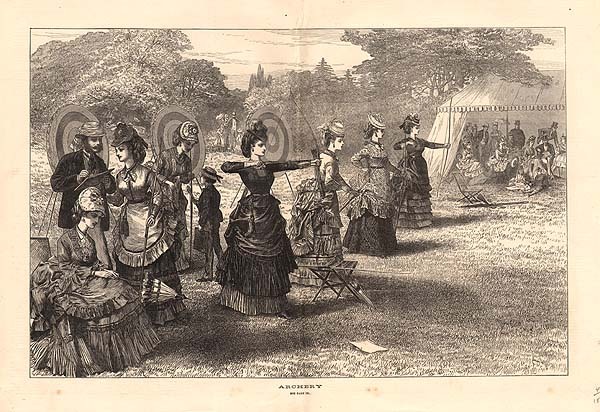 An antique woodcut engraving which was published in "The Illustrated London News" on August 24, 1872. 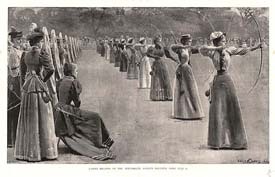 Ladies' Meeting of the Toxophilite Societ, Regents Park, July 11. An antique engraving from a drawing by Lucien Davis, which was published in "The Illustrated London News" on July 14, 1894. National Archery Meeting at Alexandra Park. An antique woodcut engraving which was published in "The Illustrated London News". Published in 1866. Later coloured by hand. Grand Archery Meeting at York. A woodcut engraving which was published in "The Illustrated London News" on August 10th, 1844. The colouring is later. Vertical Printer's crease to the right of centre.